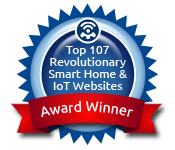 What is Z-Wave, and Why Is It So Popular? Forget Keys. Unlock Your Front Door with Bluetooth Access Control. Monday-Friday: 7 a.m. - 5 p.m.
How Many Wires Are In Your Old NuTone or M&S Intercom System? © Copyright 1989-2018 Home Controls, Inc. All rights reserved. Blog at WordPress.com.